Rugby coaches frequently repeat the same common tropes and expressions. 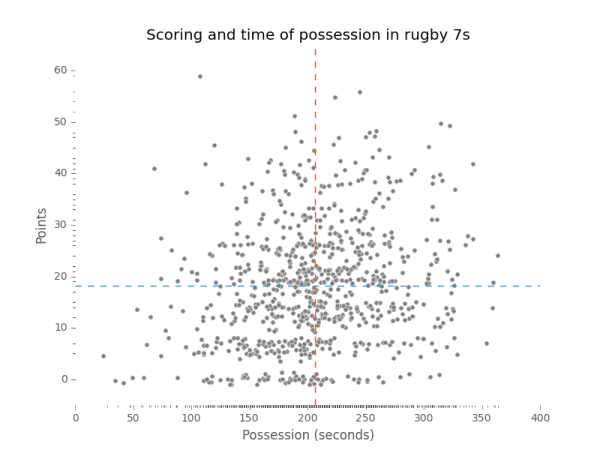 Few are repeated more frequently than the importance of ball possession in rugby 7s. “Possession equals points” and “starve them of possession” are two of the most often repeated. 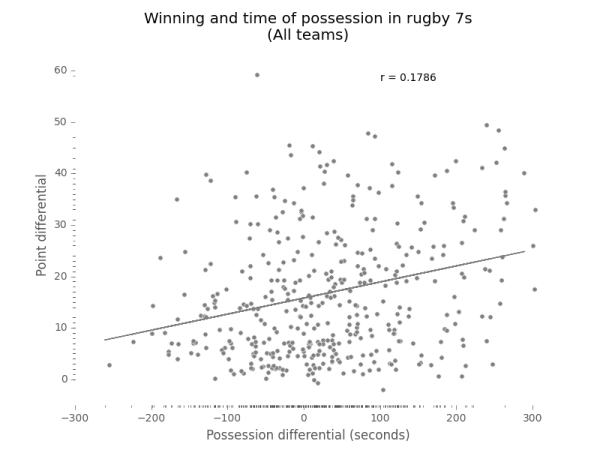 More than anything the time of possession data reflects match tempo. The match tempo is no doubt influenced by the competitor’s styles of play. Fiji is known for their offloading and support game. By combining their ability to keep the ball away from breakdowns with finishing speed across the roster they can score a lot of points quickly. South Africa on the other hand uses aggressive work at the breakdown to generate short field tries off turnovers. New Zealand plays a confrontational game that involves winning break downs, spreading the field, and keeping the ball for longer passages of play. 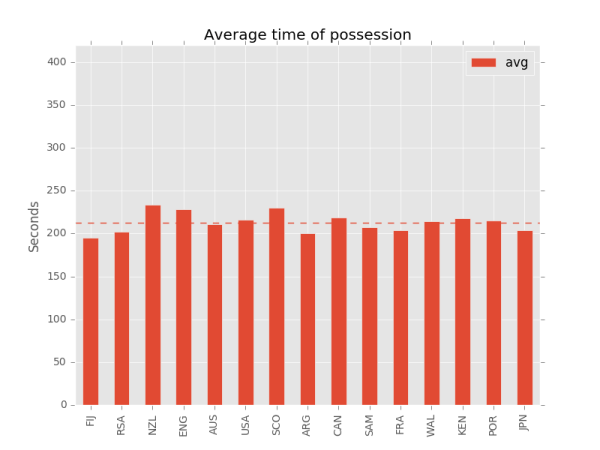 Fiji and South Africa — the top series finishers — were among the lowest in average time of possession for core teams. New Zealand enjoyed the highest average time of possession and finished third overall in the series. 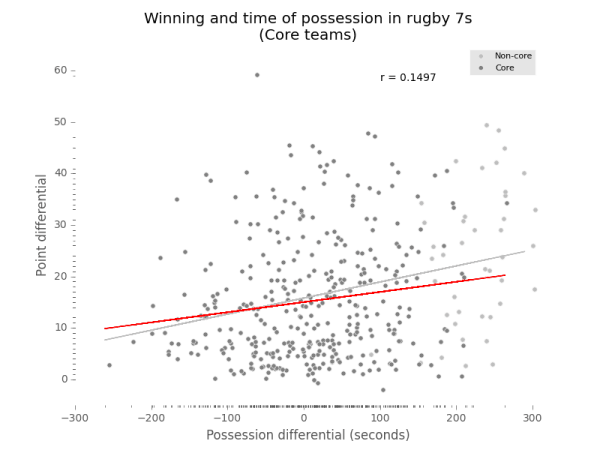 The time of possession differences between these teams reflect their tactical and stylistic differences. But these statistics also show that pushing or slowing the tempo can be winning strategies. Jacob is the head coach of the Austin Huns' Rugby 7s team. In 2016, he led the Huns to their first Red River Conference championship and first USA Rugby 7s national champion tournament in the club's 40 year history.